Tune into WPVM FM 103.7 on December 19th, 7:00 pm – 8:00 pm, to hear AIM founder and lead teacher Ronya Banks interviewed on the A Mindful Emergence radio show. Ronya’s topic will be “Using Mindfulness Practice to Get Along with Family and World Changes.” Learn how to mindfully and compassionately work with the challenges we all face, particularly during the holidays and within a changing political landscape. The A Mindful Emergence Radio Show is a weekly broadcast providing an in-depth and informative look at the application of mindfulness to the worlds of addiction recovery, trauma relief, and compassionate self-care. The show is hosted by Eddie LeShure and Margaret Kirschner. Eddie is an AIM teacher as well as a Registered Substance Abuse Counselor, a Certified Peer Support Specialist, and a NAMI Family Support Group Facilitator. Margaret is a Certified Trauma-Sensitive Yoga Therapist (E-RYT 500) as well as a Certified Prenatal Yoga Teacher, and a Certified Birth Doula. 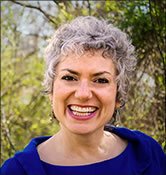 Ronya Banks is the senior teacher at Asheville Insight Meditation. Her teaching is informed by over 30 years of daily meditation practice, intensive study with 20+ Vispassana teachers, and over a year’s worth of silent mediation retreats. She has lived as a Theravada Buddhist nun and currently works as a business consultant in addition to teaching. She also leads meditation retreats. On the radio: If you’re within broadcast range, tune in to 103.7 on your radio dial, Mondays, 7:00 pm – 8:00 pm. 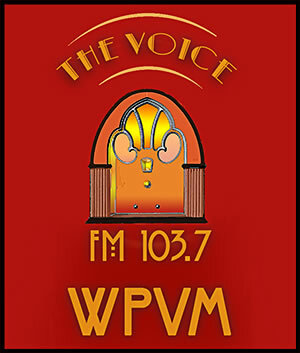 Online streaming: Go to wpvmfm.org and play the Listen Live! audio player, Mondays, 7:00 pm – 8:00 pm. Mobile app; Download the TuneIn app to your mobile device and listen to live broadcasts or to archived shows. Archived shows: Go to the WPVM’s Schedule page, locate the A Mindful Emergence program, and click for archived shows.